In sports, there are plenty of decorated cities and franchises like Boston or Los Angeles. Teams like the Celtics or even the Patriots have a rich history of winning. Even if they were to lose 10 consecutive seasons in a row, they can always fall back on their impressive championship count being higher than teams and cities that don’t win. But let’s discuss these nonwinners. From the city of Phoenix to the Buffalo Bills, winning doesn’t seem to be in the stars for every city or team. Let’s move on and see who else has it had it hard when it comes to winning. If it weren’t for LeBron James then Cleveland would have continued to be a sad city for a sports fan. After bringing an onslaught of athletic and basketball ability, James, Kyrie Irving, and the Cleveland Cavaliers ended a 52-year drought of not winning a championship. Outside of that, it might be another 50 plus years until the Browns pull off a Super Bowl win. The Indians came close to winning the World Series recently but no cigar. 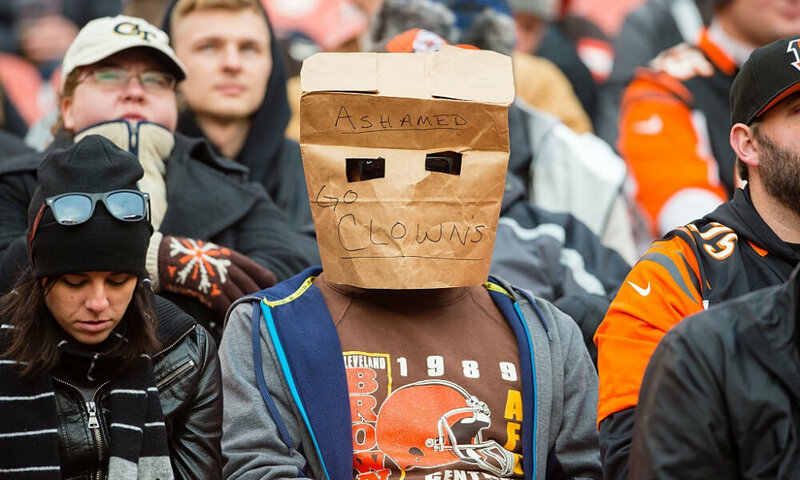 Something must be in the water in Cleveland that’s preventing them from claiming a title. 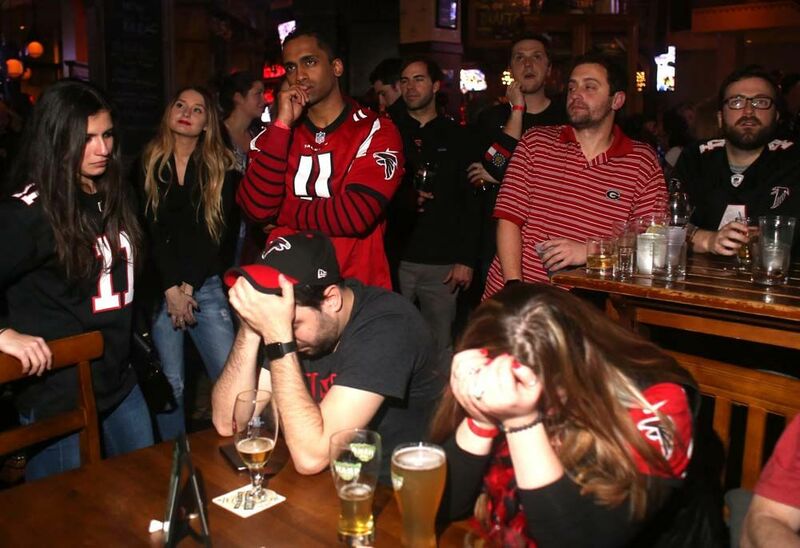 The 2016 Super Bowl looked like it was finally time for Atlanta to break the status quo of losing franchises in that city. The Falcons had a 25-point lead against the New England Patriots. The picture above grasps the feeling of them losing that lead to Tom Brady perfectly. Still, no one knows how they allowed that to happen. This is why many of sports fans around Atlanta take pride in being more of a college fan. But the University of Georgia and Georgia Tech haven’t been hanging any banners either. And since LeBron James brought that title to Cleveland, Atlanta might be the worst suffering city. As this list continues on, you’ll think the previous team or city had it bad until you read the next one. 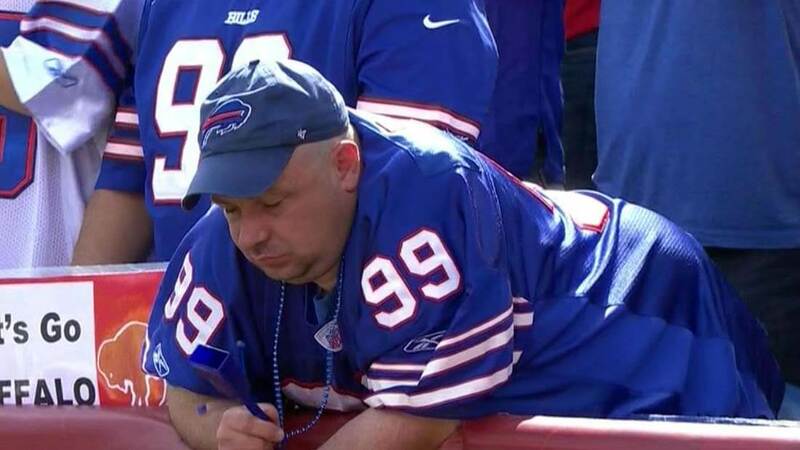 The only time the Buffalo Bills got something right was during the 1991 Super Bowl. They were favored and down one in the final seconds. Getting to the 29-yard line they chose to kick a game-winning field goal. The only thing is, their kicker, Scott Norwood would end up missing the 47-yard field goal. He missed it wide right. 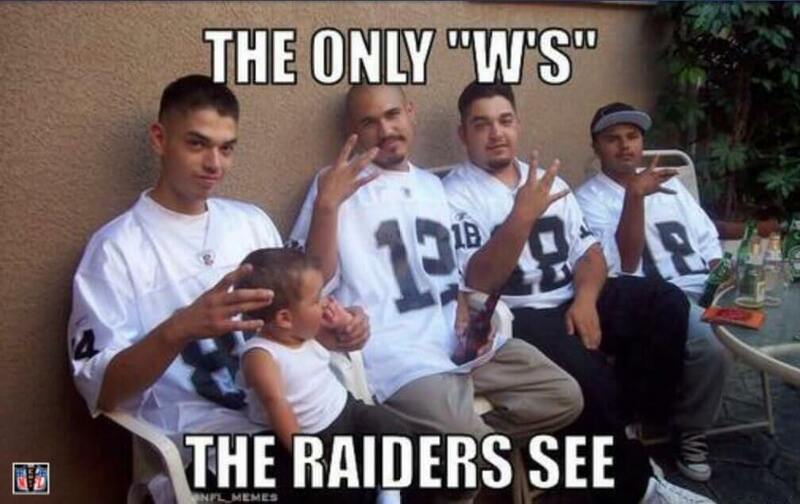 They ended up losing the next three Super Bowls as well. Their last major championship came in 1965 when the NFL was the AFL. Maybe this is the reason why the team formerly known as the San Diego Chargers made the move to Los Angeles. At least there is a certain level of expectation in Los Angeles. 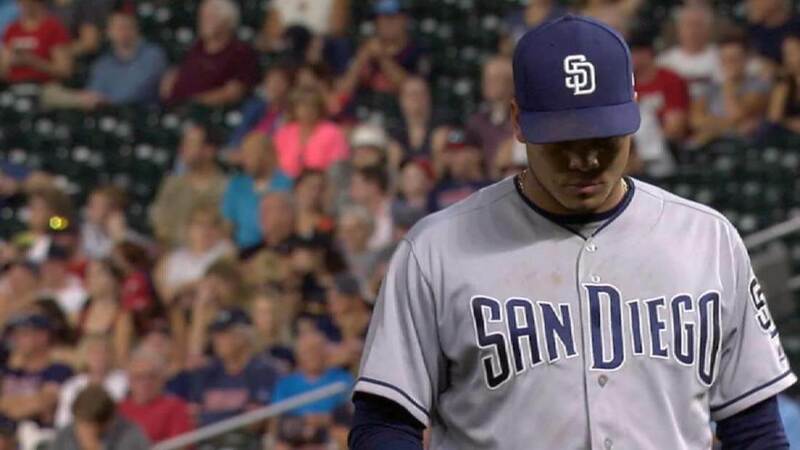 In San Diego, there is no history of winning. The Los Angeles Clippers were once in San Diego as well. But we have seen how that is working out for them. As of 2015, every franchise that is in San Diego (or has been) combined for 112 championship-less seasons within the past half-century. That is the ultimate sports struggle. 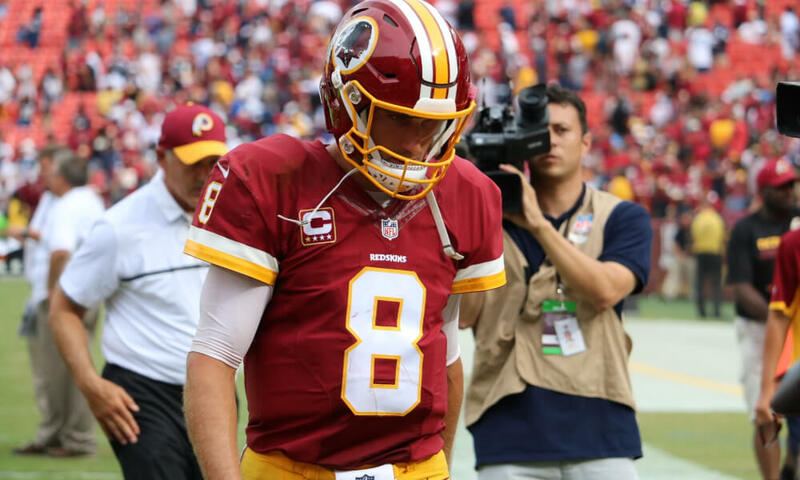 The toughest loss for a Washington franchise had to be the 2012 divisional game when the Nats lost that 6-0 lead in the deciding game. Outside of that, its been 81 seasons since any team out there has won a championship. The Redskins may have won the Super Bowl in 1992 but that was ages ago. What’s even worse is that the Capitals have become to be known as some of the biggest chokers in all of hockey. The Wizards have won only four playoff series in the last 30 years. There just isn’t a winning culture going on out there. Usually, it would be easy to put the blame on loose cannon quarterback Brett Farve. But it isn’t his whole fault that the city of Minneapolis isn’t used to winning. It’s been 89 seasons since their last title. But their toughest loss does come courtesy of Farve. In the 2010 N.F.C. 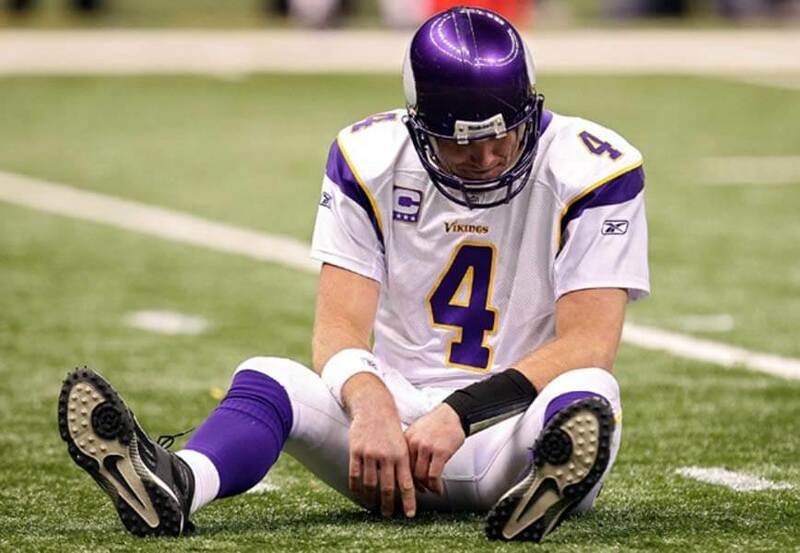 title game, Farve threw his last interception as a Viking during overtime. The Timberwolves have never even reached the NBA finals once. They also have the longest drought of any team in the NBA to not reach the playoffs as of the 2017 season. The last time a franchise looked like they could have won it all was when Charles Barkley was in town for the Phoenix Suns. Unfortunately, Michael Jordan was running things back then so he prevented many people from winning a championship. NBA fans in Phoenix might also never forget the triple-overtime loss to the Celtics in the 1976 finals. The Cardinals lost in the 2009 Super Bowl after leading in the final minute. So heartbreak would be natural as heat around these parts. If you think you’ve seen disappointment you haven’t seen anything yet. Keep going through and prepare yourself for some huge letdowns. The Warriors are technically the “Golden State” Warriors so we won’t include them with Oakland. The last title this city saw came back in 1989 thanks to the Oakland A’s sweeping the Giants in the World Series. The Raiders will be in Las Vegas after the 2020 season but they have brought new life to Oakland with quarterback Derek Carr. So we’ll see what they do before the move. Back in the 1970s, business was booming for Oakland as the Raiders and the A’s were winning. Now it just seems that they don’t know what a win in the championship looks like. The only team to know a thing or two about championships in Kansas City would be the Royals. We almost didn’t include Kansas City on this list because of the Royals but prior to that 2015 World Series victory, it had been 57 seasons before the last time a franchise out their won. The Royals actually lost in 2014 and that had to be the toughest loss for the city. But they came back the very next year to heal fans hearts. 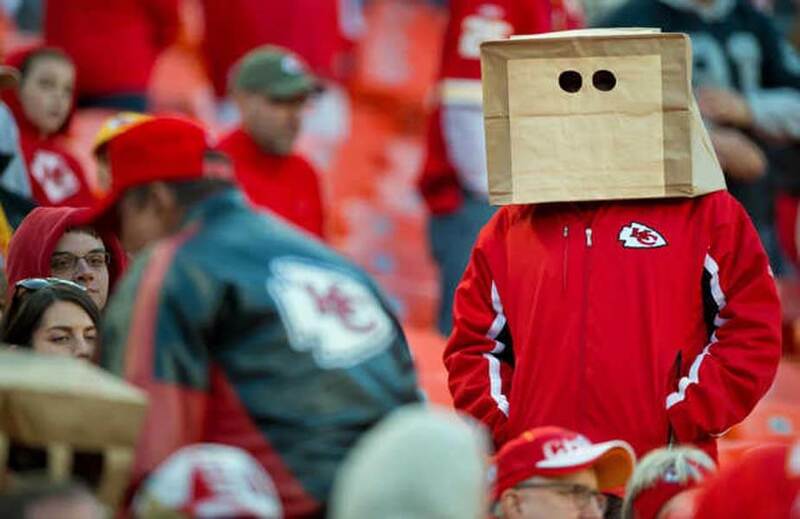 As far as the Chiefs go, they have not won the Super Bowl since 1970. The Houston Astros just won the World Series in 2017. Their city had faced a major crisis and their sports team brought them a championship. 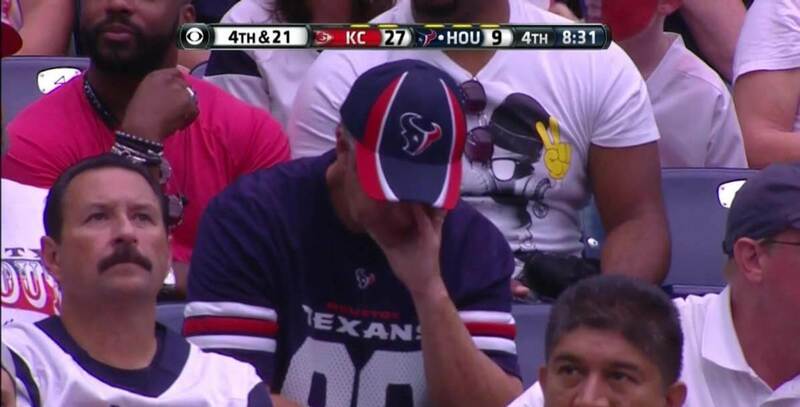 We bet the rest of teams in Houston could have brought that much joy. Instead, we have the Texans (who have never been to the Super Bowl) and the Rockets (who haven’t been to the finals since 1995). As of 2017, the Houston Rockets could be coming close to winning an NBA Finals again. James Harden and company have been faring pretty well and with the addition of Chris Paul in the 2017-18 season, they could find themselves back in contention. Just as long as they can get past Steph Curry. What’s Going On In Cincinnati? 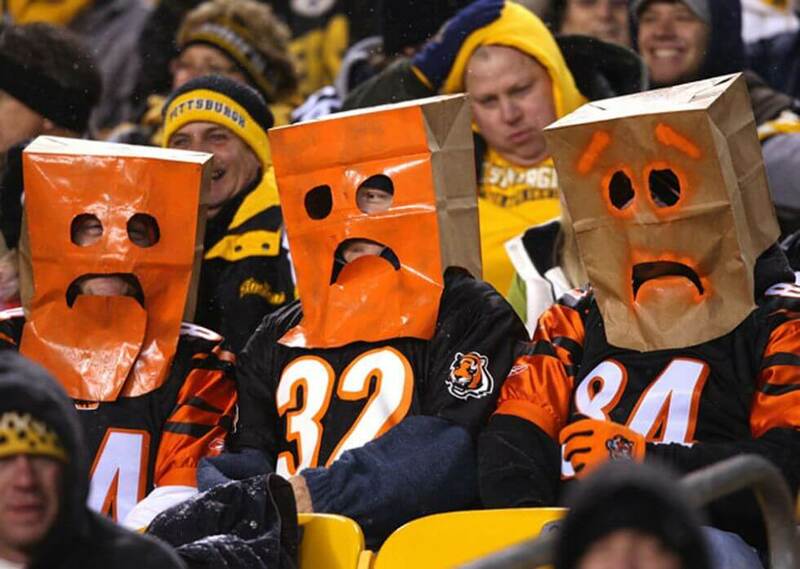 For the Reds and Bengals, winning isn’t in the stars. Back in the day, the city of Cincinnati was winning a lot. Oscar Robertson made the Royals a team to watch and the Bengals went to the Super Bowl in 1982 and 1989. Even the Reds won three World Series within 16 seasons. The city hasn’t seen any of their teams advance int he playoffs in about 20 years. That means the Bengals nor the Reds have won a playoff game. Maybe their fortune will turn around soon or maybe it won’t. When Will The Mariners Win? Seattle is lucky to have Russell Wilson and the Seahawks. The city should forever be thankful for them. Because if it weren’t for the football team, the baseball team has been a disappointment since their conception. The Mariners just can’t win a title. The franchise began in 1977 and have not won a World Series. Even when they had Ken Griffy Jr. it just wasn’t meant to be. 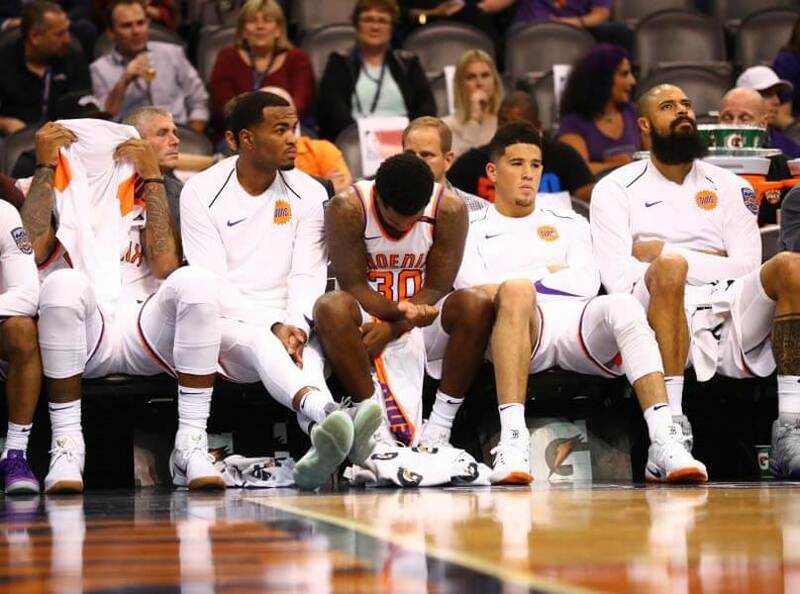 They lost their basketball team to Oklahoma City and ironically enough Kevin Durant and Russell Westbrook led them to the finals not too much later. The Philadelphia Eagles just broke a 28 winless season streak by winning Super Bowl 52! All praise to Nick Foles for winning even with everyone counting him out against big bad Tom Brady. But what about the 76ers? They have been counted out for a long time now while fans were urged to “Trust the Process”. The process seems to have come along quite nicely. 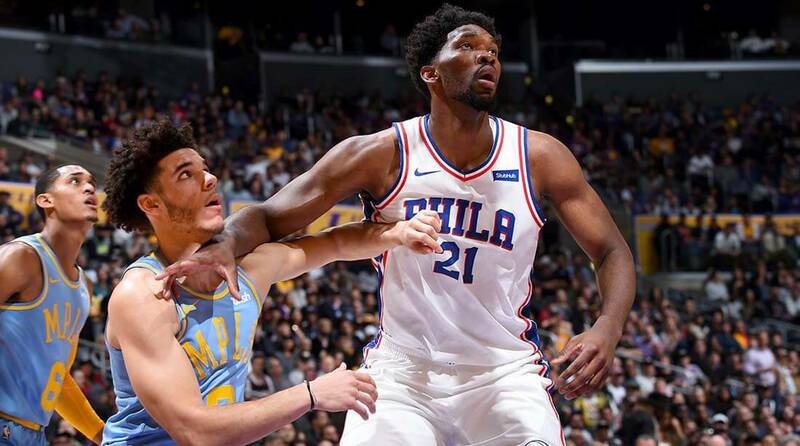 With Joel Embiid and Ben Simmons looking like the new and improved Shaq and Penny, they could do some damage in the NBA sooner rather than later. The 76ers last championship came in 1983. 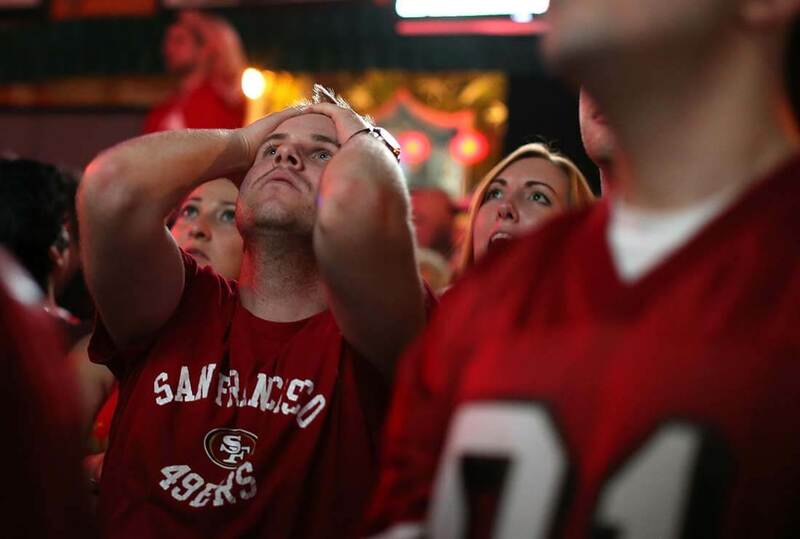 What Happened To The 49ers? In the last seven seasons, the Giants have won the World Series three times. They should be nowhere near this list. And for argument’s sake, the Warriors are moving to San Fransico to play in a new arena so they will be considered a San Francisco team as well. But what about those 49ers? There was a time when they were the only team winning by the bay. They had won five Super Bowls in a decade and Joe Montana was the man with the plan. Thanks to Colin Kaepernick, they returned to the Super Bowl but were still defeated. Football fans just have little to rejoice over these days. 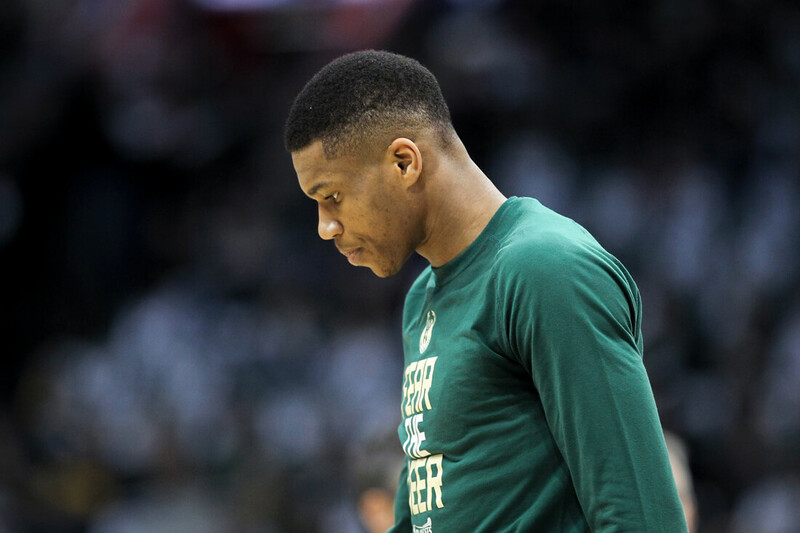 When Will Milwaukee Win Again? We’ll see if that happens. And as far as baseball goes, the Brewers have only won one championship since they have been in Milwaukee. It looks like their chances of winning will come from the NBA world before MLB. For the Carolina Panthers, things could go well any season as long as former MVP Cam Newton is on his game. They just went to the Super Bowl but unfortunately, they lost. 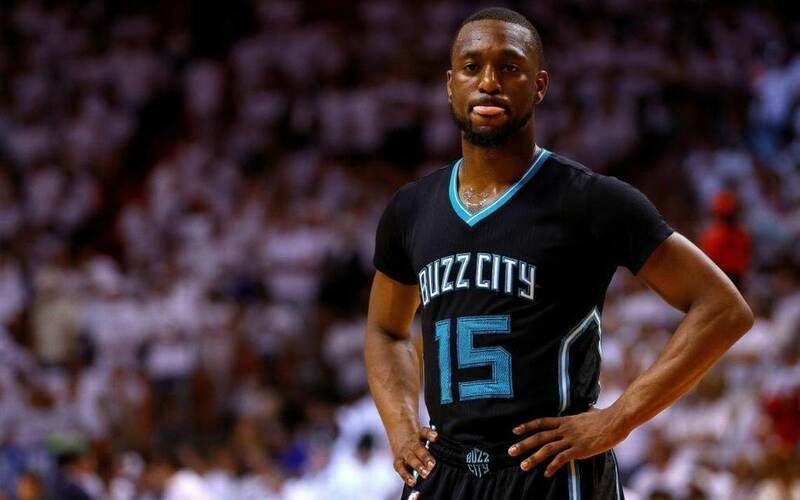 As far as the Charlotte Hornets go, it could be a long while before they taste a championship. Even with the greatest Michael Jordan in charge, things are looking bleak for the Hornets. They were created in 2004 and only have had a handful of playoff appearances. Jordan had better come up with a solution soon before their fan base loses interest completely. 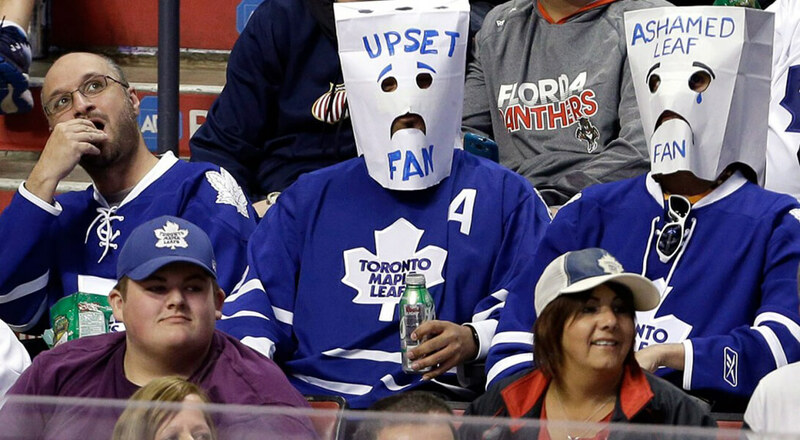 Even though Canada is regarded as a hockey country, the Maple Leafs aren’t getting the job done. As of 2016, they have only had one playoff appearance in the previous 12 years. Talk about losing. Their last championship came in 1967. For the Toronto Blue Jays, at least they have won more recently bringing home a championship in the early ’90s. Then we switch gears to the NBA and the Raptors. The Raptors just can’t seem to get past LeBron James. They have all the talent but they haven’t even been to the finals. Your guess is as good as ours when trying to figure out when they will win. The shot you see above may be the biggest shot in Kings history. Even though it was a Lakers player that made the shot, the Kings ended up missing the NBA Finals thanks to that shot by Robert Horry of the Lakers. If they had won that game, they would have been up on the Lakers 3-1 in the Western Conference Finals. And according to statistics, it is almost impossible to overcome a 3-1 deficit. There is no clear timetable of when the Sacremento Kings will win a championship. their best chance was during those days when they would battle the Lakers. Now, they are in a constant rebuilding phase. We feel your pain, random Jacksonville Jaguar fan. Your team is one of the only four teams in the NFL to not have won or played in a Super Bowl. So many years of not winning just can’t sit well with a fan base. Thankfully, their 2017-18 season looked promising as they were only a few steps away from playing in the Super Bowl. The team has a good fan base over their in Florida but it seems like the franchise isn’t too concerned with winning. Since 1993, they have just been a team that other teams can get to improve their record. Let’s hope things change. Will The Nuggets Figure It Out? Thanks to Peyton Manning and the Denver Broncos, the city of Denver has tasted winning recently. 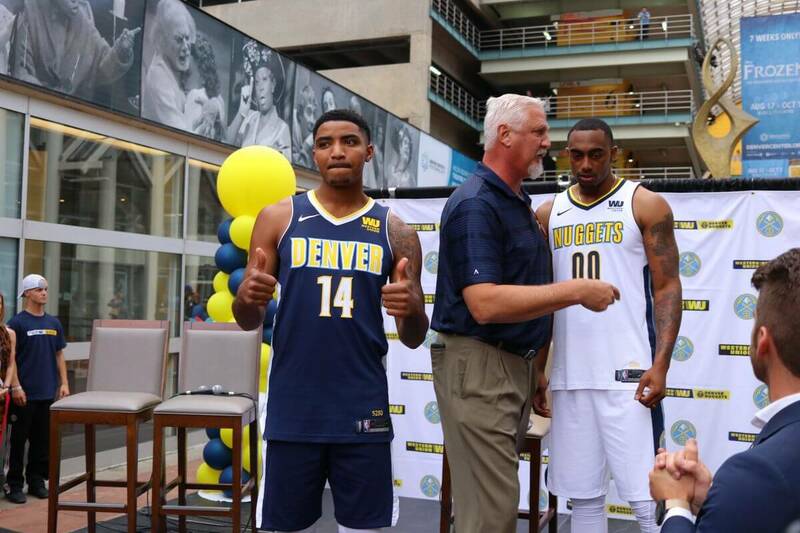 But as far as the Denver Nuggets are concerned, they haven’t won anything since they started. Even when the team had the likes of Carmelo Anthony and Allen Iverson, Kobe Bryant was still around making it hard for these young talented teams. As of 2018, the Nuggets have a nice roster and could be done with the rebuilding phase. But that doesn’t mean they will be able to stop the Warriors or any other top tier team in the west anytime soon.